Popped by Checkers for lunch with my ex colleagues from my previous company. I forgot to take a photo of their signage though. 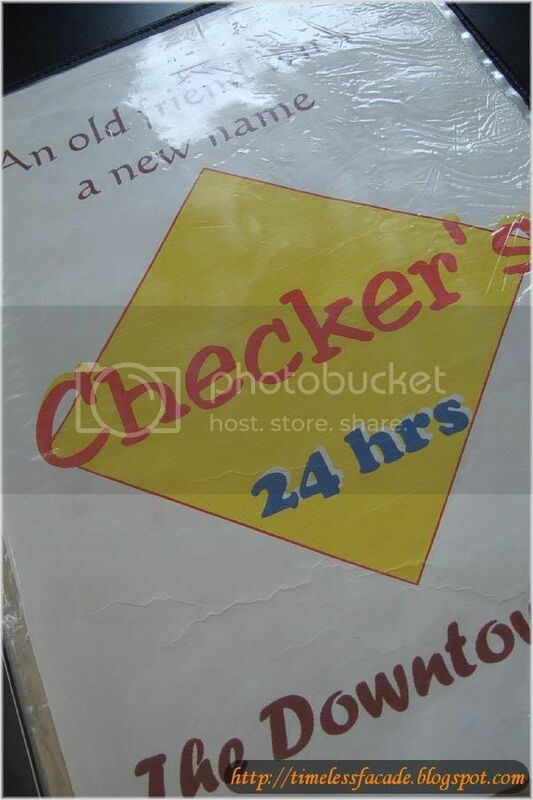 For those who are interested, Checkers used to be known as Dennys, which used to be situated at Holland Village (at least it was when I was a kid). 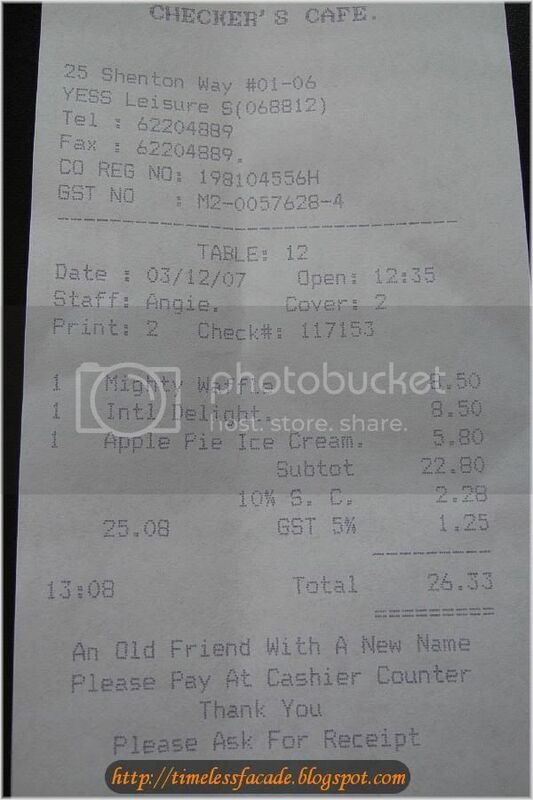 It has since shifted and renamed itself to Checkers (the name change is only in Singapore. The other outlets in other countries are still called Dennys). Situated along Shenton Way, Checkers now sits where Partyworld Shenton used to partially sit (I'm not sure if Partyworld is still operational though). The interior is simple and the crew friendly. The air conditioning could be upped a little though. 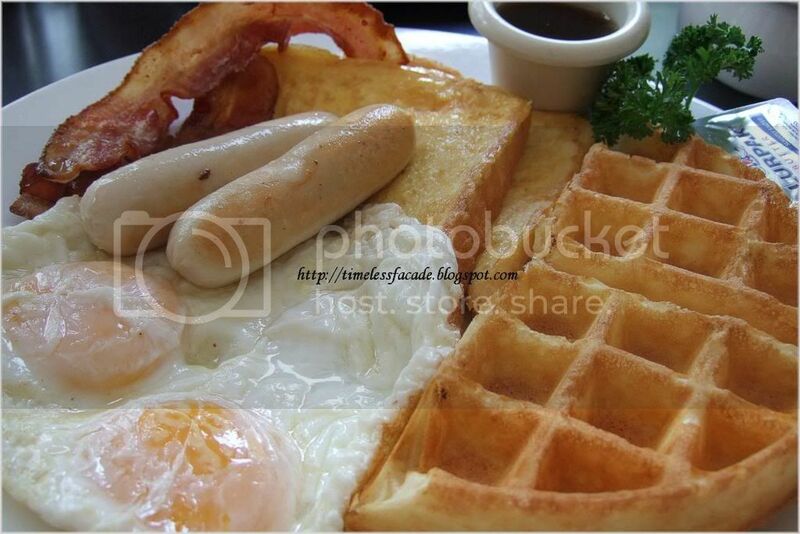 I had a craving for breakfast items, so I had the International Delight, which was essentially French toast, waffles, eggs, bacon and sausages. Everything was as normal as they get, with the exception of the waffles, which had a rather odd aftertaste. But all in all, it did satisfy my cravings. Decent tasting, but nothing close to good. 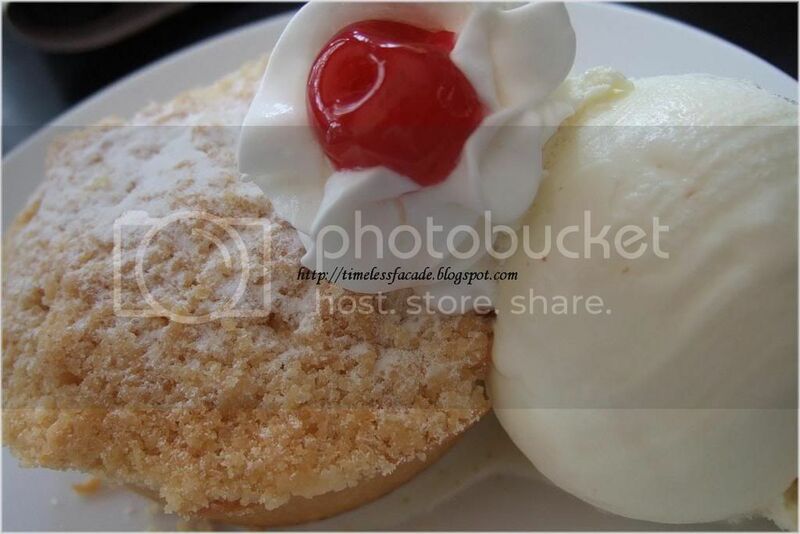 The apple pie was not warm as I would have expected it to be and the ice cream was obviously from the supermarket. 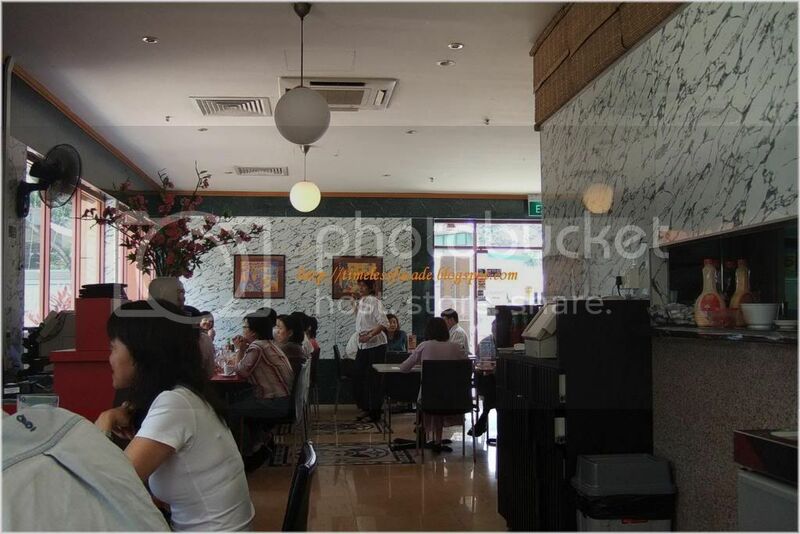 Overall it wasn't too expensive and the food offered no surprises nor disappointments. The good thing about this place is that it opens 24hrs a day and only closes on Tuesdays, so if you need a place to chill out till the wee hours of the morning, this might just fit your bill.